Billy has been a member of Rock Church for eleven years and currently serves as an Elder. He has also served as Co-Chair of the Deacon Board. He is a certified Fork Lift Operator and experienced as a Receiving Clerk, a Punch Press Operator, an Order Filler, A Porter, and a Spray Painter. After coming to Rock Church from the Transformation Crusade ministry, Billy has served as a salvation counselor, small group leader, deacon, and speaker in the Prison Ministry. He still works with the Deacons and oversees the Visitation ministry. He also gives the “Spiritual Food” for the Breakfast Ministry. Gerry heard Chuck Hogren, founder of the Cabrini Green Legal Aid Clinic, speak while he was in law school, inspiring Gerry to use his legal skills to help people who could not afford it. Most of Gerry’s law offices have been on the West Side of Chicago and most in Legal Aid. While a student, he did an internship at the Garfield-Austin Legal Services of the Legal Assistance Foundation of Chicago. After being licensed by the State of Illinois in 1979, he was hired by a law firm with offices at Madison and Pulaski, and after they dissolved, he had a private practice there. After Dan Van Ness took a job with Prison Fellowship & Restorative Justice in 1981, Gerry started working in the legal ministry at Circle Community Center. In 1983, Gerry co-founded the Austin Christian Law Center (ACLC), first at 440 N. Mayfield, and then at 118 N. Central, where he worked until December 1988. In 1990, through federal funding, Gerry started working at the DePaul University Legal Clinic. His job was to supervise law school students, mentoring them and teaching them practical applications of the law as they served people who had no money. In 1994 the funding for the program ended, so in 1995, Gerry began working for the Chicago Legal Clinic, Inc., who served the working poor in the South Chicago neighborhood. The Chicago Legal Clinic merged with the Austin Christian Law Center and became the Austin Circle Law Center, so Gerry was able to work again at Circle Urban Ministries. Since the Chicago Legal Clinic laid him off in 2009, so he has had his own law firm, Nordgren Law Offices, in downtown Chicago. In January 2013 Gerry and his wife, Nancy, started attending Rock Church. In the spring of 2014, they moved into the Austin neighborhood, a home-coming for Gerry, since his first home was an apartment at Washington Blvd and Lavergne. 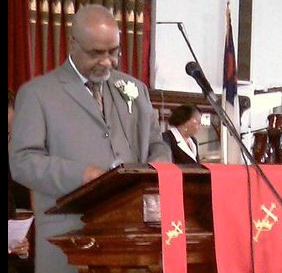 He served from 1989-2009 as Youth Pastor at Rock Church and Chaplain for Circle Urban Ministries. He currently works with By The Hand in Englewood as Spiritual Development Specialist. He participated in the Kenya 2016 Missions trip and lives in the Austin neighborhood. He and his wife DeMurma Johnson (Rock Church’s Office Administrator) have been married for 50 years and have 4 adult children and 2 teenage grandchildren. Elder (Pastor) Willie Morris Jr.
Pastor Willie went to grade school, high school, and college in Chicago. 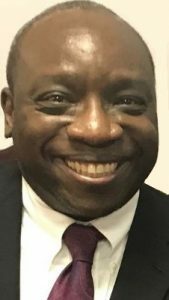 He worked as a Chaplain for Circle Rock Prep School/Circle Urban Ministries and as Pastor at Greater Union Baptist Church. He and his wife Linda live in the Austin neighborhood. Reggie Harris has been a Rock Church a long time. He is involved with the Worship Ministry and oversees weekly set-up of the gym for worship. He and his wife Sarita and their children live in the Austin neighborhood.